Managing a club can be hard work - particularly since most administration is run by volunteers. And there's plenty of work to do ; from organising the fields of play, through to managing the members through to organising your big end of year ( or start of season ) BBQ. These big club events are a bit like herding cats - we get that because we've been there too. 2. 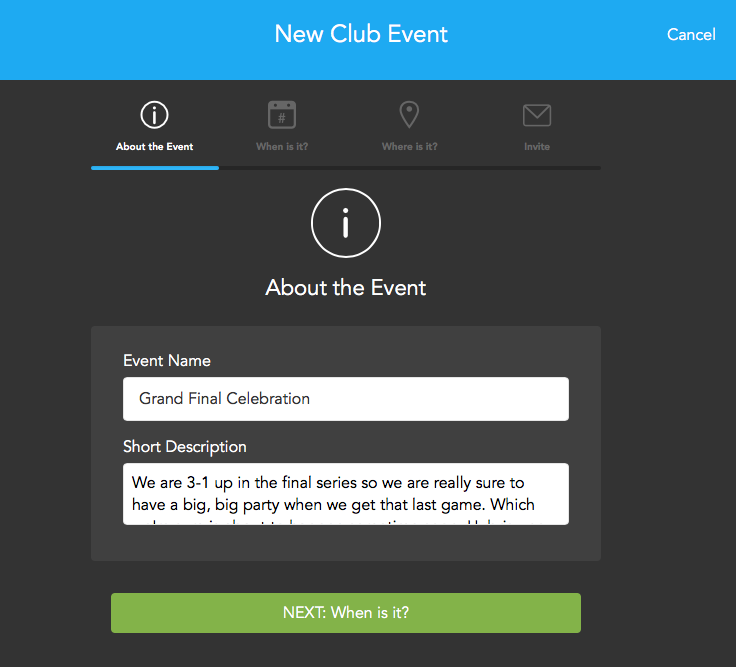 Club members can now RSVP mobile, or from emails. So in a little more detail then. 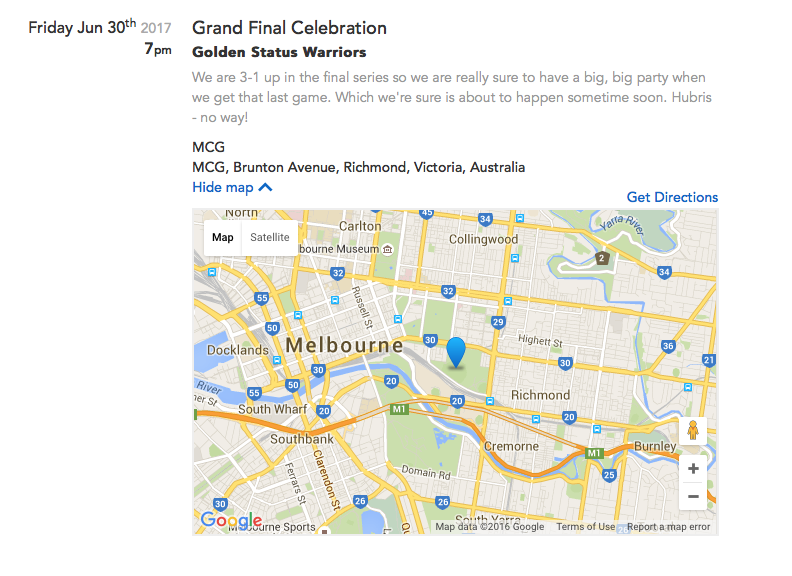 Let's pretend I'm organising the Grand Final celebration for my local basketball club. Who might just happen to be called the Golden Status Warriors. First step, login to your club administration at clubs.teamstuff.com. Now look to add an event. Look for the following on the menu on the left. Now we'll guide you through the process. First of all, tell us the key details, such as the name and a description. This will appear on your member's teamstuff apps, in emails and in people's calendars. Next, tell us when your event will be held. This is making sense right? If you are allowing your members to bring along non members ( esp family and friends, but it's really anyone ) AND you want to roughly know how many are turning up. This is a great checkbox to tick. So a good example is a BBQ style event - where it's both club members and their entire family coming. We can track numbers across both groups if you want - so tick that box. 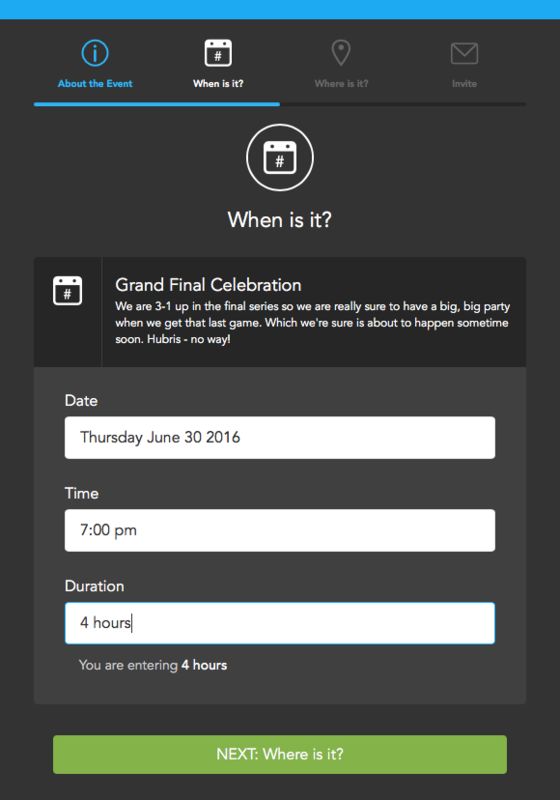 The event will automatically go into invitee's teamstuff apps and calendar, but if you'd like some extra oomph - you can ask us to send out special invitations. 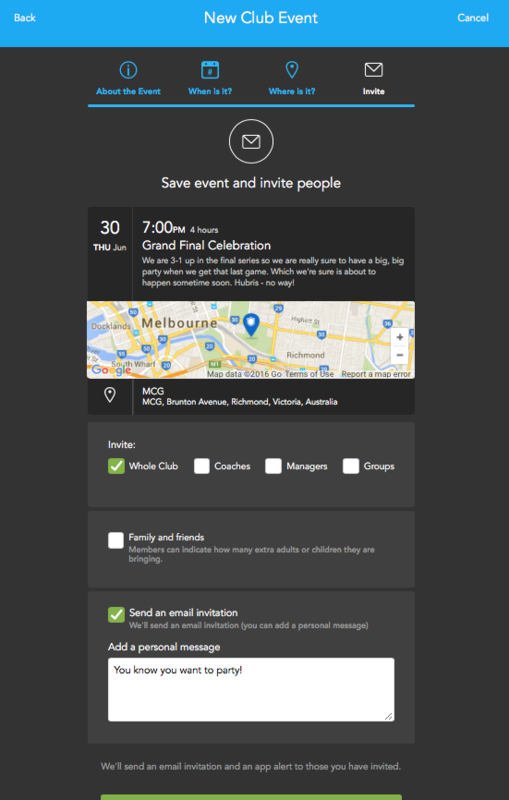 Those invitations have all the details - even allowing simply RSVPs from the email itself. Add a special club message if you'd like too. And at the end, press the big green button and you've now created a club event, and invited the right members. And that took like 2 minutes right? Nice! What do Club Members See? You can see the example below - it displays beautifully in their personal teamstuff calendars. With directions, descriptions, time and place. 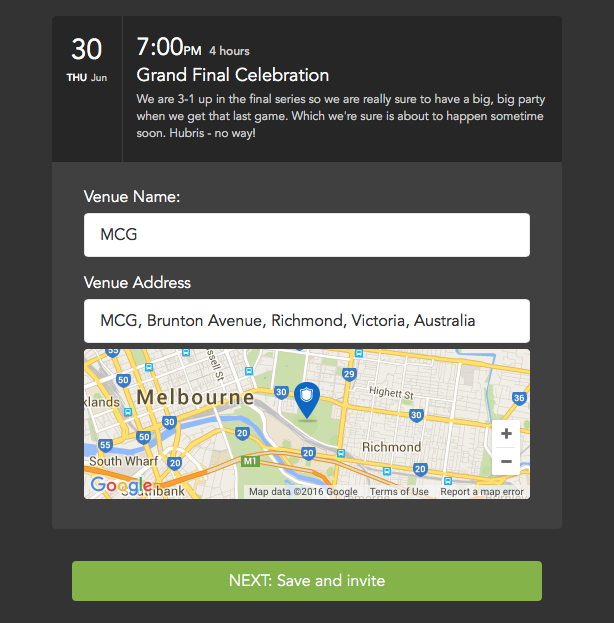 And yes, they can RSVP right from here, including setting their attendances for themselves, their kids and family and friends too.